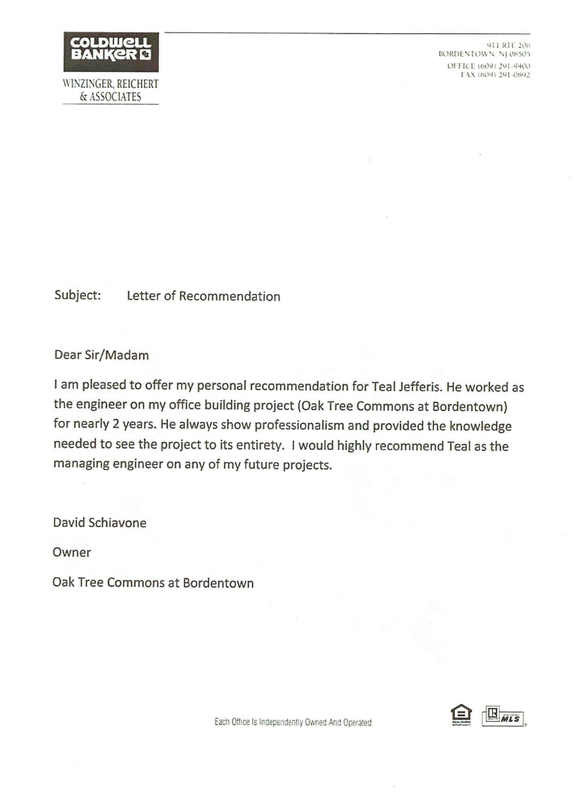 I am pleased to offer my personal recommendation for Teal Jefferis. 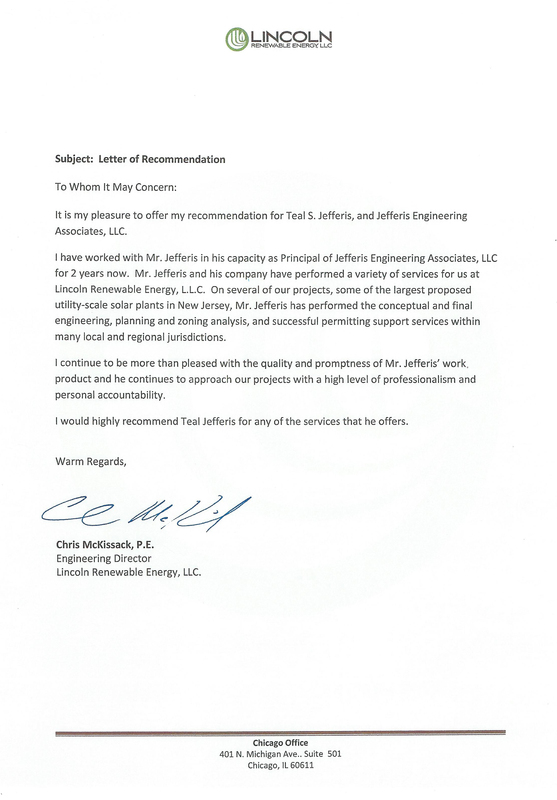 I am pleased to offer my personal recommendations for Teal Jefferis. 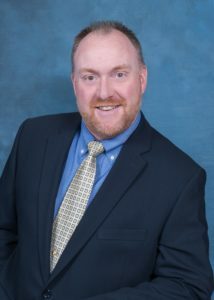 He worked as the engineer on my office building project (Oak Tree Commons at Bordertown) for nearly two years. 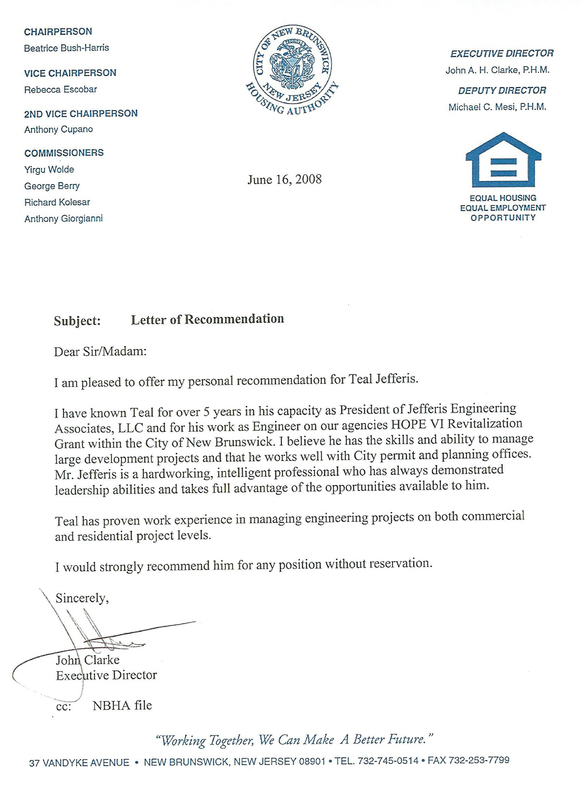 He always show professionalism and provided the knowledge needed to see the project to its entirety. I would highly recommend Teal as the managing engineer on any one of my future projects.